Lawrence is a school system committed to ongoing improvements. 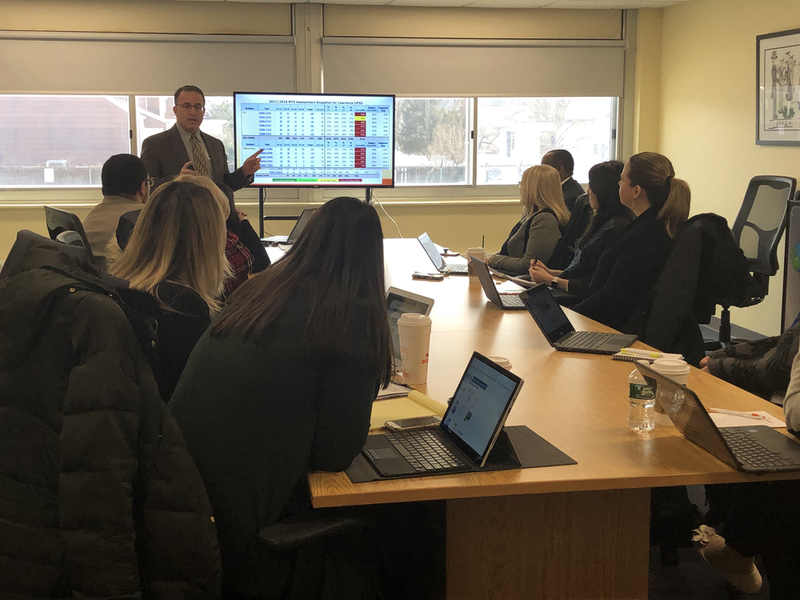 In order to design instructional interventions that improve student performance, the instructional leadership team studied data trend with Dr. Pratt from Nassau BOCES instructional data warehouse. This included comparing data among all subgroups to performance within Nassau County. Based on the trends in data, action plans are being developed to continue the upward trajectory of the learners in Lawrence.